Hi-Lite is showcasing its innovative asset management program AMS (Airfield Maintenance Services) at the 51st International Aviation Snow Symposium in Buffalo, New York from April 22-26, 2017. “AMS has been around for several years under the name of Sustainable Maintenance Solutions,” mentions John McNeely, President and CEO of Hi-Lite Airfield Services, LLC. 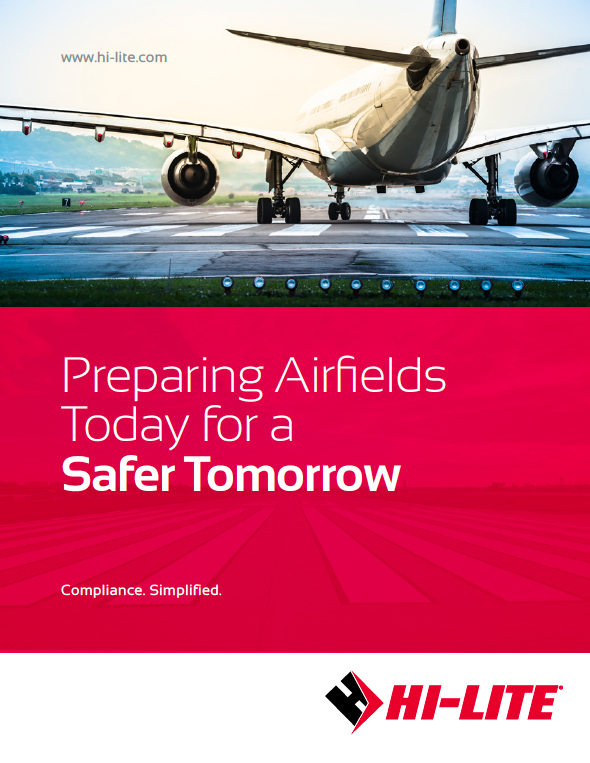 “This time, we have refined and upgraded the service offerings and customized it for airports in the United States operated by the public sector in cities, counties, and municipalities.” AMS is a multi-year contract that serves as a platform to consolidate all airfield maintenance services into a comprehensive plan for airports. After successful implementation in Caribbean and Middle Eastern private airports, Hi-Lite is promoting AMS to the United States’ public sector, especially now where airports need to achieve more for less under a limited infrastructure setting and with air traffic on the rise. To date, airports in the United States with high passenger numbers have initiated implementation of AMS, but Hi-Lite wants it to be adopted by airports of all sizes. “Safety cannot be comprised due to lack of funding and AMS is the solution to balance both successfully,” adds McNeely. For decades, McNeely has witnessed lack of available solutions for proactive airfield pavement maintenance strategies. In addition, increased passenger air travel and congested skies present the industry with more challenges. Consequently, these issues lead to discrepancies in FAA Part 139 inspections, reduction in pavement ROI, and pose serious safety risks. “Particularly, we see issues with markings’ FAA compliance, untrained in-house personnel, busy operations schedules, and short closures that make it really difficult for airports to manage an effective maintenance program,” adds McNeely. In order to address these issues, Hi-Lite has become involved at the state level with aviation associations such NASAO (National Association of State Aviation Officials) and NYAMA (New York Aviation Management Association) just to name a few. Some of the solutions being discussed include increase in funding sources for capital improvement programs, development of more airfield statewide maintenance programs, and enhancements to specifications for marking installation procedures and compliance. “Achieving an excellent safety record is possible and AMS is the missing link to make this happen,” comments McNeely. As new Greenfield airport projects continue to emerge in international markets, the AMS program continues to become an ideal fit to maintain these new infrastructure assets. To learn more about AMS and talk to Hi-Lite personnel directly, you are invited to visit Hi-Lite’s booths at upcoming exhibitions. Hi-Lite will exhibiting at the 35th Annual Texas Aviation Conference from April 19-21, 2017 in San Marcos, Texas and at the 51st International Aviation Snow Symposium in Buffalo, New York from April 22-26, 2017. In addition, click here to download the new AMS guide.